A perennial in tropical climates, holy basil is a member of the mint family. But holy basil isn’t used merely for flavoring. Also known as Tulsi, Ocimum Sanctum, The Incomparable One, and The Queen of Herbs, holy basil has a rich history. This herb has been prized in India for 3,000 years for its medicinal and healing properties. Symbolizing the ancient goddess Lakshmi, holy basil is considered a sacred plant in India. In fact, it is considered the holiest of all plants in Hinduism because it also symbolizes the connection between earth and heaven. Basil is a versatile culinary herb, with more than 50 varieties available. Holy basil is one unique variety. It has a slightly sweet aroma and doesn’t taste like the basil you’d find in an Italian kitchen. Unlike other basil leaves which are smooth, holy basil leaves are greenish-gray, coarse and jagged-edged. The flowers of the holy basil plant are lavender instead of the usual white flowers. Like other basil varieties, holy basil’s aromatic properties are released when the leaves are bruised. A little bit goes a long way when cooking with any type of basil. The spicy, peppery flavor of holy basil is the perfect addition to Thai cuisine and other Asian dishes. Krishna – Ocimum tenuiflorum. 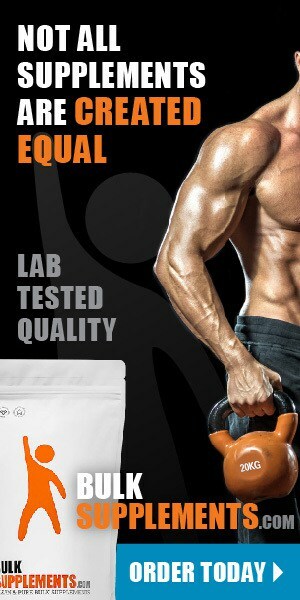 Most potent variety. Vana – Ocimum gratissimum. Contains a high amount of eugenol, a natural antiseptic. Rama – Ocimum sanctum. Most common type cultivated in the United States. Stress is the erratic juggling of life’s demands with our limited ability to cope. The body then responds to stress automatically, starting with the adrenal glands, which release stress hormones. These include cortisol, adrenaline, and corticosterone. When these chemicals are in the bloodstream, a person feels a boost of energy and the “fight or flight” response. This boost of energy can help you fight a physical threat, a mental challenge, or an emotional conflict. It can also boost focus and respond to the emergency at hand. And, when the emergency is over, the hormones die down. When stress affects digestion, it can lead to increased appetite and weight gain. When stress affects the immune system, sickness or an autoimmune disease can surface. When stress affects the nervous system, a person can feel chronically anxious or depressed. Holy basil can enhance the body’s ability to respond to stress. Specifically, the herb contains eugenol and caryophyllene, aromatic compounds that may improve mood (x). Scientific studies have found that eugenol especially helps boost mental clarity. Holy basil may also decrease overwhelming corticosterone levels by enhancing the body’s ability to cope with stress hormones (x). An imbalance of cortisol levels can disrupt the sleep cycle, leading to a host of health problems. By regulating cortisol, holy basil promotes healthy sleep, potentially relieving insomnia (x). The natural antibacterial oils in holy basil could treat acne and other skin conditions (x). Since inflammation further aggravates acne, holy basil hits acne with a double whammy because the herb acts as an anti-inflammatory agent, in addition to killing bacteria that worsens acne (x). Research shows that regularly taking holy basil in the form of Tulsi tea may boost the immune system, helping you fight off infections like colds and the flu (x). It could reverse immune damage caused by chemical and environmental factors, and may be especially effective in restoring immune function in those suffering from chronic stress (x). Holy basil contains compounds that may help lower blood sugar levels, potentially benefitting those with diabetes. In one study, holy basil helped Type 2 diabetes patients lower their fasting blood sugar levels by 17 percent (x). It may also protect the liver and kidneys from damage caused by high blood sugar levels. Research indicates that holy basil could manage weight by controlling lipid (fat) accumulation, especially in those with high cholesterol (x). Studies suggest it does this by preventing lipid synthesis in the liver(x). Holy basil may slow blood clotting. Talk to your doctor before taking it if you have a blood clotting disorder, and don’t take holy basil two weeks before a scheduled surgery. 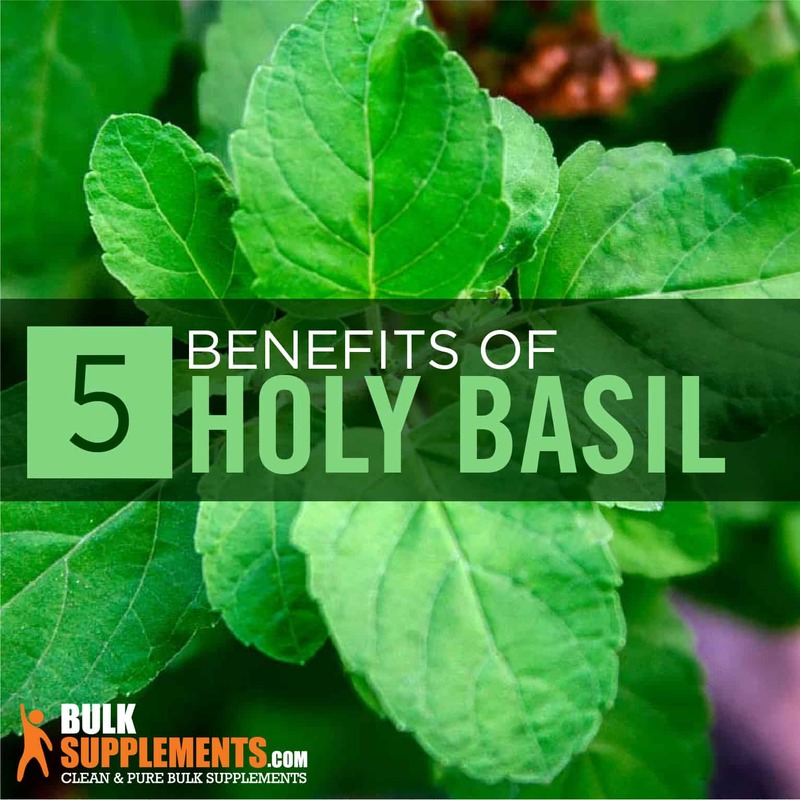 Because of its ursolic acid content, holy basil may affect fertility. Don’t take if you are nursing or pregnant, or if you are trying to become pregnant. Do not take holy basil with acetaminophen, as it could counteract the medication. Because of its anti-inflammatory properties. Holy basil is available in a variety of forms, including capsules, teas, essential oils, and tinctures. You can also take pure holy basil powder, which contains a high concentration of beneficial compounds. As a dietary supplement, take 500 mg (scant 1/2 tsp) once or twice daily, or as directed by your physician. Holy basil comes in different varieties, boasts many names, and packs a serious health punch. It eases anxiety, curbs negative side effects of stress, relieves acne, boosts immunity and more. With science on its side, this ancient Ayurvedic herb can benefit your long-term overall health.